The health of a dog is very important for pet owners. While it is hard to completely keep your dog free from diseases, there are a number of common dog health issues that can be identified from the start. The Pomeranian dog breed is susceptible to certain dog health problems. This doesn’t imply that your Pomeranian dog will develop these health problems! Please note that even the most resistant breed may develop complications. These health conditions are seen mostly in the bloodline. Therefore, one should know the symptoms to help in early detection of the disease. This in turn will help the dog to have a quick recovery. Just like human being, a dog could develop thousands of diseases. 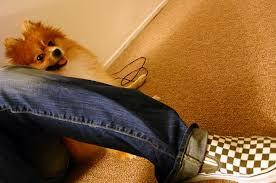 However, below are the most common Pomeranian dog health problems. 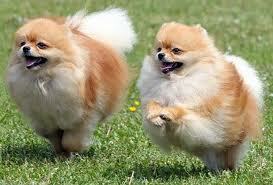 Also referred to as knees that slip out of place, is a common problem in the Pomeranian dog breed. The knees are rated as per the Orthopedic Foundation for Animals (OFA). Ordinary knees are the most wanted; however, grades two and one are more common in toy breeds. The third and fourth grade may need surgery, at times during early age of the dog. Always check your puppies’ knees. Those with higher grades will most likely require surgery. The Pomeranians breed in most cases develops a coat loss condition known as severe hair Loss Syndrome (SHLS), also referred to as black skin disease. It mainly occurs in male dogs. They may have copious puppy coats with little guard hairs if any and which does not shed. When the coat of the puppy sheds, the coat fails to rejuvenate. Another inversion of the similar condition occurs later on, with normal coat beginning to thin from the buttocks and back of the thighs and moving up the back. 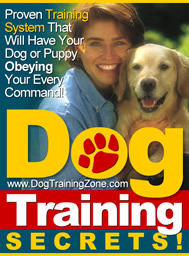 It is important to examine the parents of the puppy you consider to buy. Hypothyroidism, low thyroid is also a common Pomeranian dog health issue. It is important to have a look at the thyroid tests results of the parent’s puppy you are considering. Usually, OFA keep the records for all the dogs that submit tests for hypothyroidism. Some Pomeranians breeds have idiopathic epilepsy. Idiopathic implies that its root cause is not known. Liver problems, head trauma, kidney issues, among many other reasons may cause seizures. Idiopathic epilepsy normally occurs between three to seven years of age and is a genetic condition. This is also another common Pomeranians dog health issues. In case your Pomeranians dog makes a honking sound, there is great possibility that issue lies within the trachea. An x-ray can diagnose the problem and normally medication is prescribed to lessen coughing. Do not ignore this problem since it can be a serious one. Heart complications can range from mild to severe. Some are hard to diagnose until a sudden death happens. It is important to find out whether the puppy you are buying has a lineage with heart problems. Canine cataracts are among the most common dog health issues affecting the eyes. Pomeranian breed are more susceptible to this health problem. 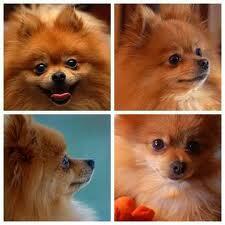 This condition can happen in Pomeranians puppy. It is very common in the very active or small puppies. Make sure that you receive full instructions from your breeder on how to establish if your puppy is beginning to develop hypoglycemia. Most of the puppies outgrow the problems as they grow old. Adult hypoglycemia is a severe metabolic disorder. Dog health issues should not be bred at all cost.